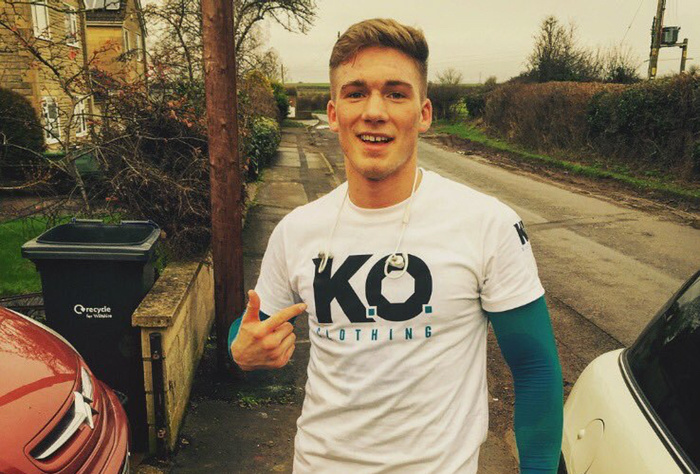 Nick Blackwell’s trainer Liam Wilkins has had his boxing licence withdrawn by the British Boxing Board of Control (BBBofC) after overseeing the sparring session which saw the retired boxer rushed to hospital with swelling of the brain. Hasan Karkadi, Blackwell’s sparring partner in this instance, has been suspended from boxing for six months. Former British middleweight champion Blackwell initially retired from boxing after suffering severe head injuries following his fight against Chris Eubank Jr.
Eubank Jr., the challenger for Blackwell’s domestic title, dominated their contest, outclassing his opponent throughout. Tough as nails, Blackwell withstood serious punishment in the ring until the 10th round—when referee Victor Loughlin finally stepped in to call the fight off after a ringside doctor had voiced his concerns over the gruesome haematoma formed over Blackwell’s eye. Eubank Jr.’s father was commended for the advice given to his son—instruction to target Blackwell’s body only, having recognized Blackwell had endured too much punishment to the head. Eubank Sr. was correct in his assessment as Blackwell dramatically collapsed in the ring shortly after the fight and was rushed to the hospital with bleeding on the skull. Following his induced coma and successful recovery, Blackwell retired from boxing on the advice of medical professionals and promptly had his boxing licence revoked. However, his fateful unauthorised sparring session against Karkadi saw him rushed to hospital again—this time with swelling on the brain. According to Blackwell’s family, his health is improving—regaining the ability to move his arms and legs after waking from his latest coma just days before Christmas. The procedure was extensive, including Blackwell having a piece of his skull removed in surgery to help reduce the swelling of his brain. But, he remains unable to walk—which meant he couldn’t attend the hearing conducted by the BBBofC. There is a long road to recovery ahead for Blackwell, who reportedly can’t remember the sparring session which regressed his health. 1. Trainer/second Liam Wilkins:- The Stewards of the Board unanimously concluded that Mr. Wilkins conduct was detrimental to the interests of boxing in permitting Boxer Hasan Karkardi to spar with ex-licensed Boxer Nick Blackwell and in view of the seriousness thereof it is not in the interests or welfare of boxing for him to hold a trainers licence. It follows that Mr. Wilkins licence is withdrawn. Blackwell’s former trainer Gary Lockett told BBC Sport: “We thought that was all going very well and while we knew Nick missed boxing, we obviously didn’t realise the extent to which he missed it. “This is a long, long old road. It isn’t like last time where no-one can believe how well he seems or how lucky he has been. I think we are winning at the moment but it is a long way to go. Eubank Jr., who later shamefully humblebragged about the injuries he helped inflict upon Blackwell, chipped in with his two cents. “I haven’t actually heard what has happened to Nick and its news to me that he is struggling to walk because of his injury,” he told World Boxing News. “The main thing is that he can talk and has all the support from his family and loved ones. “I can understand Nick wanting to get back in the ring because it’s the sport he lives and breathes for, but he shouldn’t have sparred. It was irresponsible of the people in the gym to let him into the ring to spar but Nick is his own man and he makes his own decisions. This is the latest sad and sorry episode in the life of Nick Blackwell. Here’s hoping he has a full and speedy recovery ahead of him.